Washington Parish Sheriff’s Office detectives investigated complaints of land sales on social media websites and Craigslist by a person who did not own the listed property. 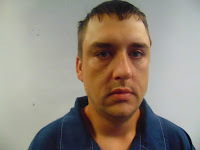 Detectives have arrested Ryan Skler Crain (29), a resident of Lam Road in Covington, on multiple counts of theft. Crain impersonated various land owners and provided sales documents that appeared to be legitimate. The purchasers learned of the scam after contacting the Washington Parish Clerk of Court and obtaining facts about the land which was not in Crain’s name and was not for sale. Crain’s story that he was a military veteran was also false. Crain used aliases that included the names of Eddie Morris, Edward Stride and Edward Stang. The WPSO suspect there may be other victims. If any other persons have been victimized by Crain, they are asked to contact Detective Captain Tom Anderson at (985) 839-3434, extension 2059.